Indianapolis There’s a funny thing that happened to the Republicans as they tried to take away the healthcare guarantees embedded in the Affordable Care Act for all Americas: they made it more popular! The message they missed from citizens and voters is that they may have wanted improvements in the pricing, coverage, and general package, but they sure as heck didn’t want to do without the healthcare provided already in Obamacare. 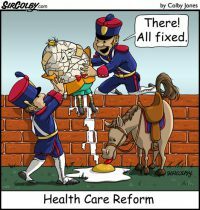 Now after one ridiculous proposal after another the Republicans find themselves owning the problem, proving that you can’t beat a horse without a horse, and you certainly can’t beat a horse with a dead horse, which was the strategy they tried over the last year. A recent poll by the Wall Street Journal and NBC found that more than 50% of Americans would blame the Republicans for any rise in prices for health insurance and only 37% would fault the Democrats. Voters in Maine, given the opportunity to expand Medicaid in their state after the governor had vetoed expansion proposals approved by the legislature four different times, overwhelmingly approved the measure. 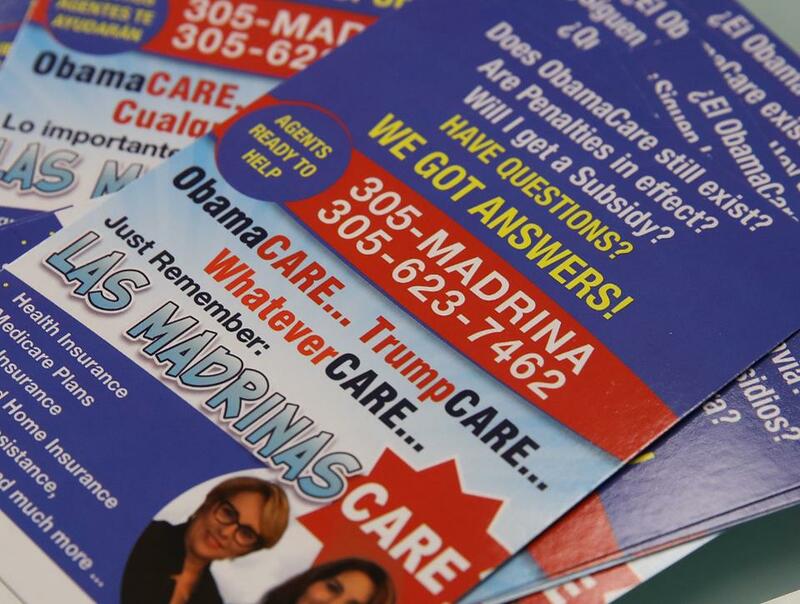 Other efforts to put the question on the ballot in 2018 are also now moving forward in other states that could drive voters to the polls to punish any opponents of health care protection. When they failed to get healthcare off the table, the current administration strategy has been to starve it, especially when the enrollment period opened up for only six weeks between November 1st and December 15th. The allocations for recruitment and navigation were slashed to the bone. Other executive orders from the President attempted to cut subsidies and bleed it out with other cuts. How did the public respond? A record number, more than 600,000 people, have enrolled in the early days of enrollment, according to reports from the 39 states using the federal government’s marketplace. There’s a powerful message in all of this, and it will dangerously imperil Republicans as they continually attempt to avoid it. The same phenomena is likely to be repeated in the wake of the Republican’s corporate-and-rich-welfare and assistance program, which they are trying to call tax reform. Majority Leader Mitch McConnell has already been forced to admit that some middle class families will pay more to help corporations and the rich, rather than receiving a break. The Senate has already backed away from some of the House takeaways like for medical deductions and certain interest deductions. None of them had the stomach to outright deny mortgage interest deductions, but even a proposal to cap them for the rich has kicked a hornet’s nest. There is a big battle coming around the efforts to deny deductions from federal income taxes for the amounts paid in state and local taxes, with many high tax, Democratic states seeing these efforts as pure political punishment. There are other issues around childcare credits. The list is endless, and each battle prolongs the war, and it’s a war the Republicans are challenged to win. In a long game it’s hard to sell a bait-and-switch claim that this is all about the middle class when in fact the middle class loses more and more each time they look at the details, while the rich and corporations make out like bandits. Add in the current scandal of the Paradise Papers revealing how the rich, corporations, and deep pocketed institutions are avoiding taxes, because they can afford to find the loopholes to the tune of hundreds of billions, while the public is being played for suckers, and where can the Republicans find to hide from the voters? Heck, they don’t even have the votes tight within their own caucus, so they may be saved from another disaster still by a principled few in their crew among true fiscal conservatives and even fewer moderates, but as health care is demonstrating, people are watching, and increasingly it seems there will be an accounting.